They say you shouldn’t go food shopping when you are hungry and its completely true. Even if you are not hungry, Suffolk Food Hall is definitely one of those places that as soon as you walk in you will want to buy EVERYTHING! Well this obviously goes without saying but as soon as you walk through the door into the food hall, it is a feast for the eyes! 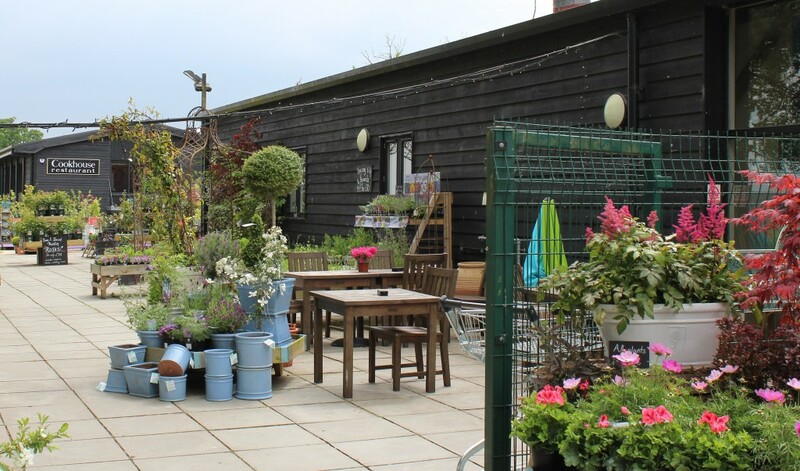 From fresh local produce to other delicious looking items, you really could spend a couple of hours here being inspired on what delights you can rustle up from all the lovely food you can buy! 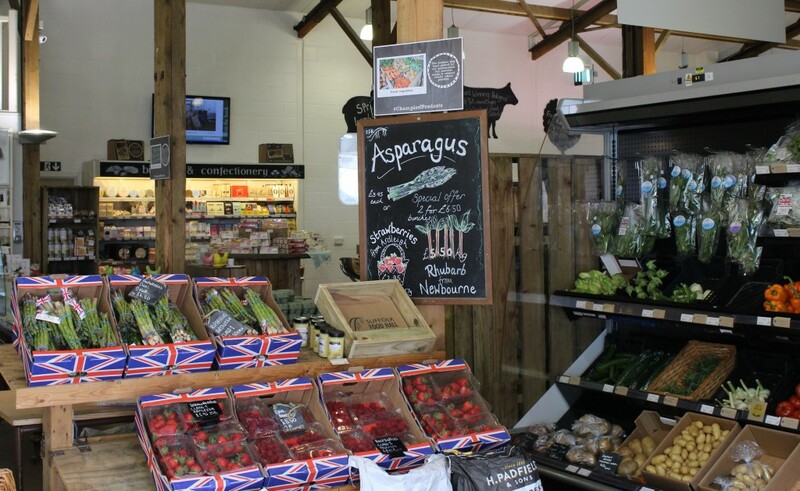 Yummy local produce as soon as you walk in the door! Lots of wonderful food to see inside the food hall! 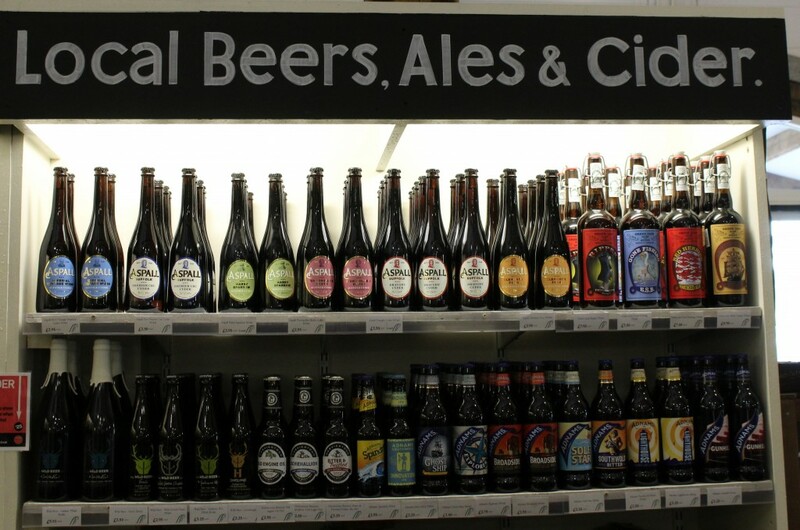 Spotted my favourite drink on the top shelf, in lots of different varieties! and yes I have tried them all! 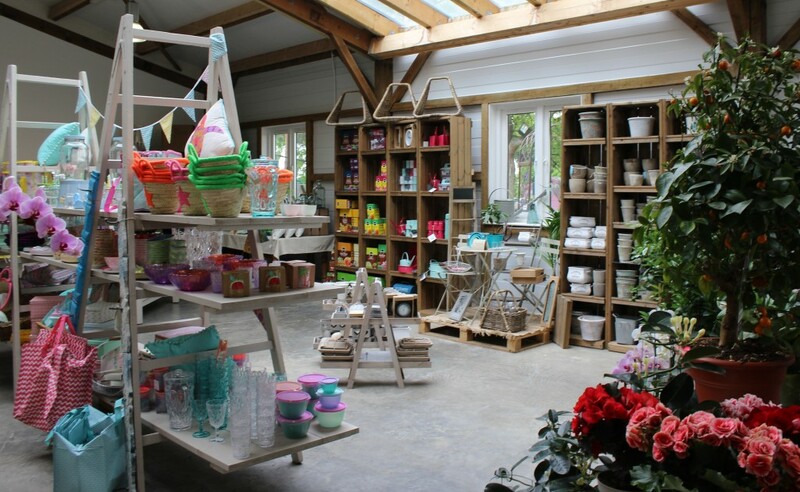 Suffolk Food Hall also has a great home and garden shop. Each time I visit there is always something new to see and so many lovely items if you are looking for something to add to your home or perhaps a gift for someone special. Being surrounded by delicious food, why not treat yourself to a snack whilst you visit! I usually spend ages choosing what to have as it all looks delicious. I then pop outside to the seating area to enjoy my choice while I look at the amazing Orwell bridge, one of my favourite views in Suffolk which is quite surprising really considering it is a massive concrete structure! Never get tired of looking at this bridge! I have also enjoyed a couple of lovely meals in the Cookhouse Restaurant (booking advisable) and the view of the bridge is great from the restaurant too, and a bit warmer in the cooler months! I have always had my eye on the annual tractor fair held at the food hall each August and this year I made it. A free event and a must if like me you love tractors. 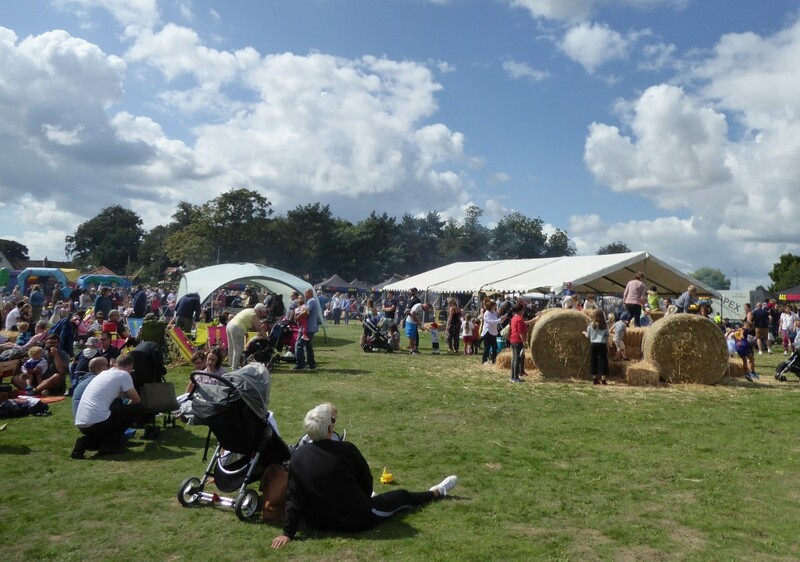 It was great to see families enjoying the sunshine, music, activities and tractors. A great day out for the family. Everyone was loving this tractor trailer ride! Suffolk Food Hall also have a number of different events throughout the year from cooking workshops to quizzes. You will find a list on their website at the end of my blog. Last but not least, I love the location of the food hall. As I mentioned the Orwell bridge is an amazing sight, especially if you need to drive under it to get to the food hall, but after a visit to the food hall there are a number of things you can do in the local area. These range from a trip to Alton Water, Pin Mill, Jimmy’s Farm and Ipswich Town Centre all about 10 minutes drive away. There are also some local walks in the area too if you want to enjoy the scenery and wildlife. Click here for an explorer guide. I hope this has given you a flavour of what to expect from a visit. 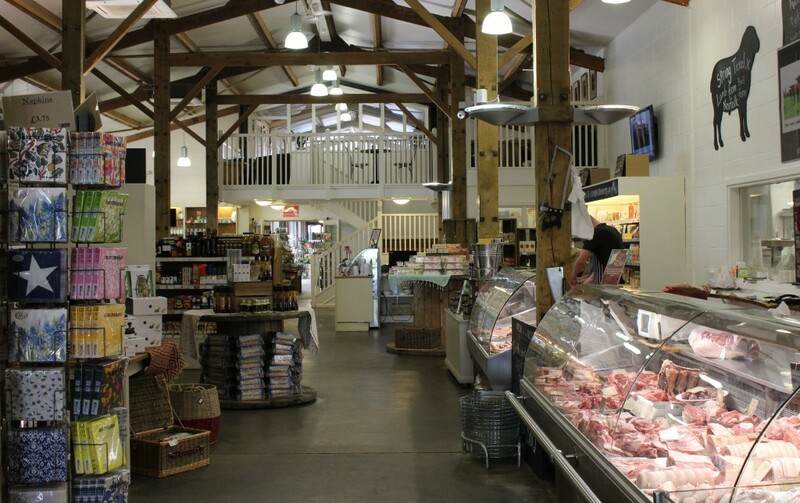 Next time you happen to spot the Orwell bridge on your travels do pop into Suffolk Food Hall for a look/ coffee/ snack. It really is a nice place to spend an hour or two! 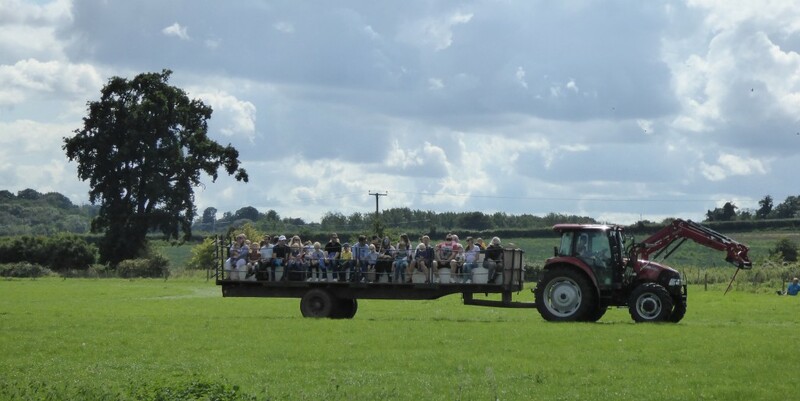 My recent trip for the tractor fair was in August 2018, although I quite often like to pop in if I am in the area!